Mark Stock used the funding to study the relationship between building principals and instructional facilitators in Wyoming. Special focus was on “the way in which those relationships impact the success of implementation of the things they are working on in the district,” he says. “I want to see if there are certain patterns of behavior or common practices between the principals and their instructional facilitators and if so whether or not they are related to the perceptions of success within the school.” Stock’s research include defining how principals place the instructional facilitator within the structure: whether the building administrator still maintains strong positional authority for curriculum matters or whether he/she assumes a more hands-off approach to delegating those responsibilities to the facilitator. 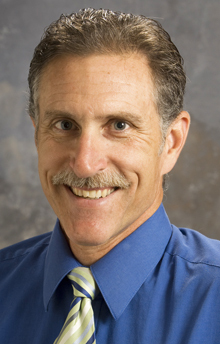 Stock joined the UW College of Education faculty in fall 2007. His career to that point focused on K-12 education, first in the classroom (teaching third and sixth grades), as a curriculum director and a technology director, as an assistant superintendent overseeing curriculum and instruction, and eventually superintendent of the Wawasee Community School Corporation in Indiana. Along the way, he earned a doctor of education from Ball State University. Stock currently is superintendent of Laramie County School District 1 in Cheyenne.